Alexa in her red ponytail given by Tita Juneth last December. 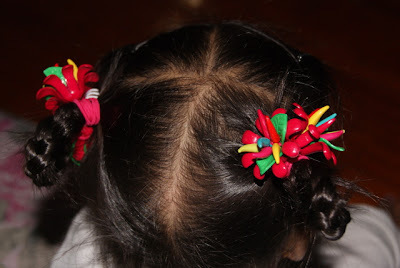 Ate Beng tied her hair neatly. My entry for Project 365 and Ruby Tuesday.